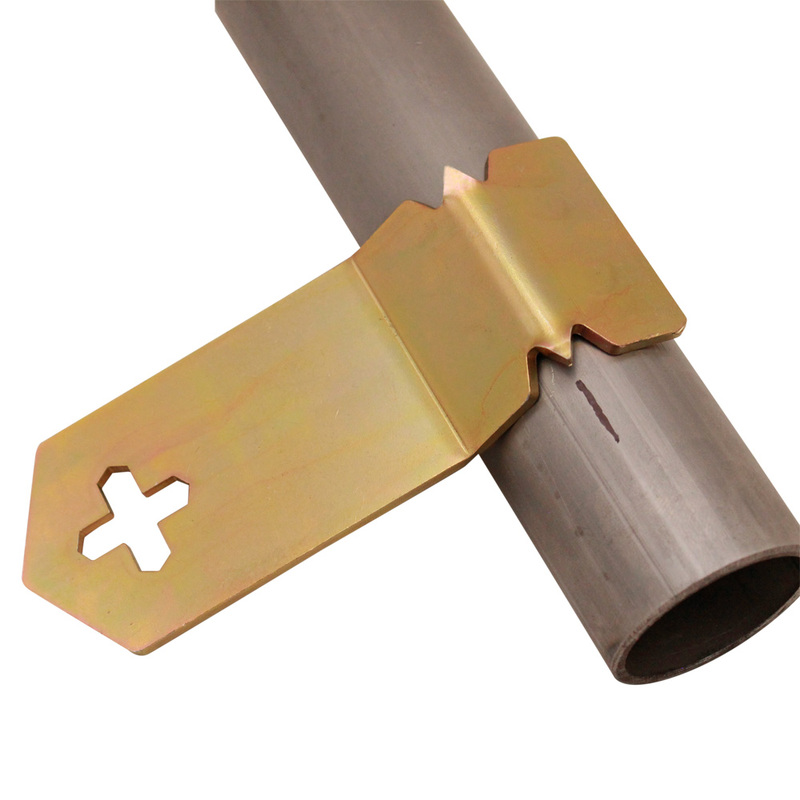 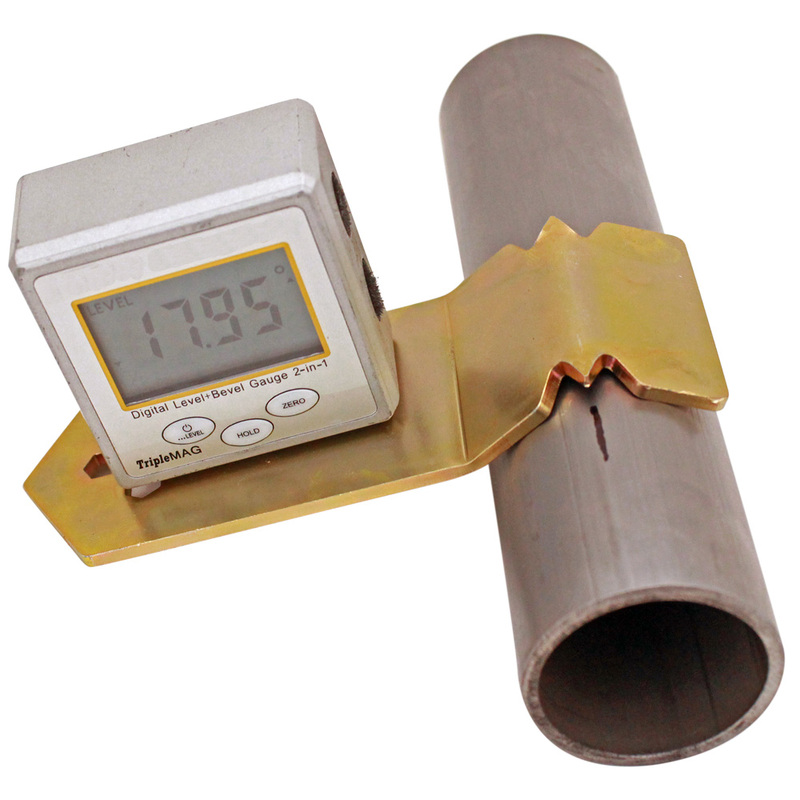 We made the universal rotation gauge to work on tube/pipe from 1" to 4" o.d. 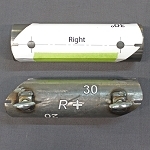 With this design you only get one spot to mark rotation on your tube, but it works on a lot of sizes. 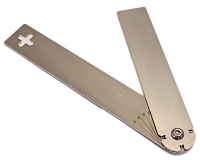 The magnets hold strong and still allow fine adjustment. 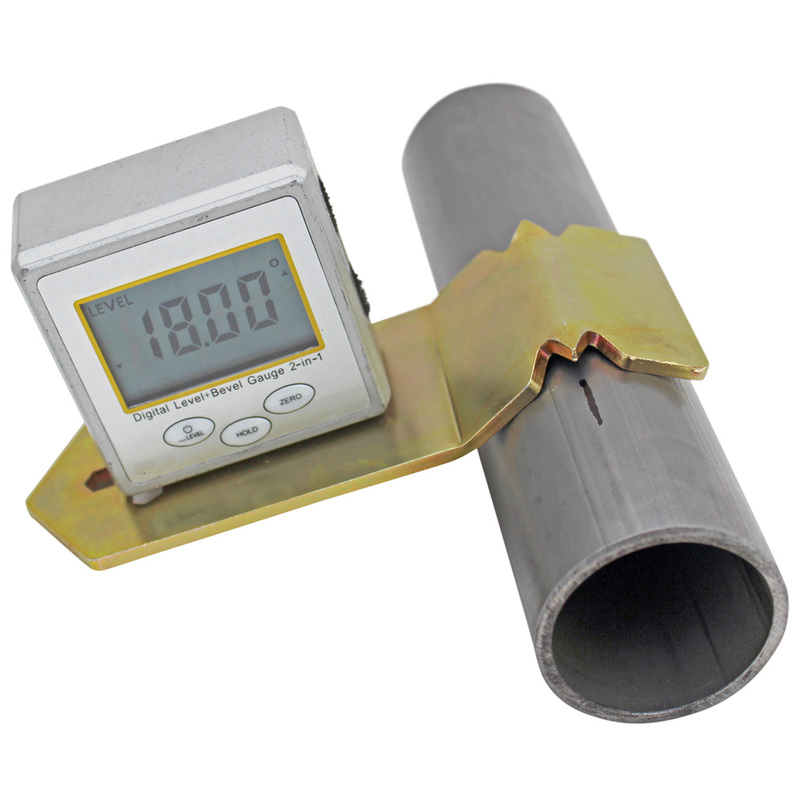 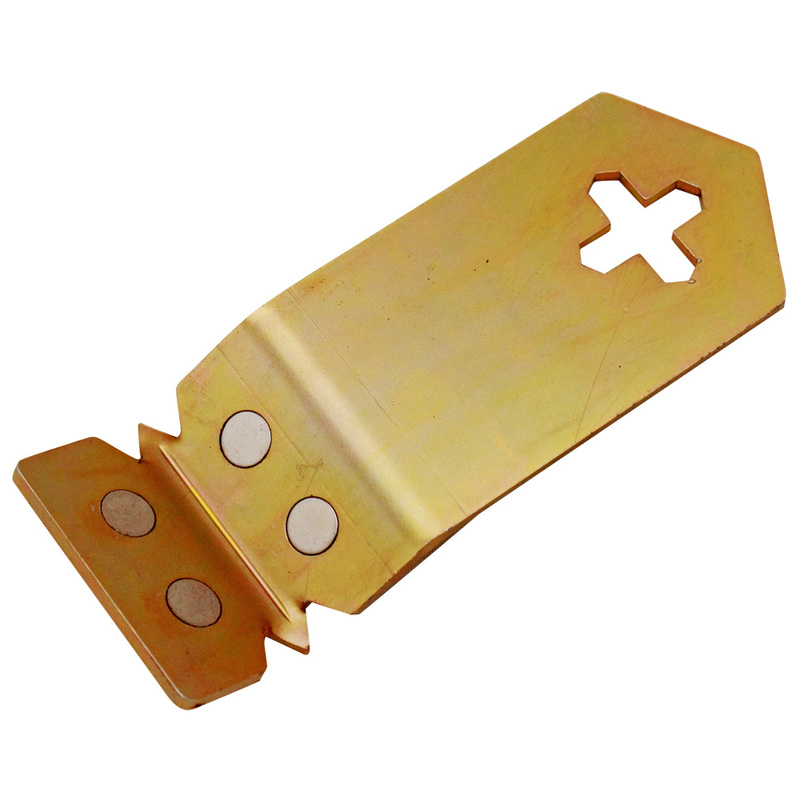 The large tab will hold your rotation gauge at any angle, which is great for measuring the side plane of a tube at a steep angle. 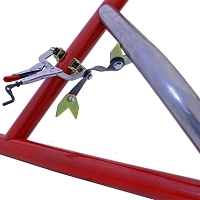 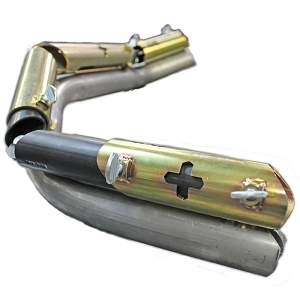 This is helpful for marking rotation of bends and even more useful for notching tubes.